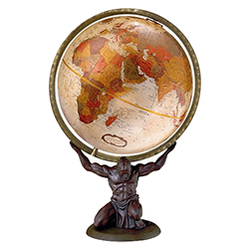 Look through a variety of floor and desk world globes, both decorative and educational. Various styles of globes make great gifts for children, graduates, and world travelers. Some of these are too large for a bedroom, office, or classroom. They were built for you to visit. I'll introduce you to the The Unisphere, The Mapparium, and Eartha. 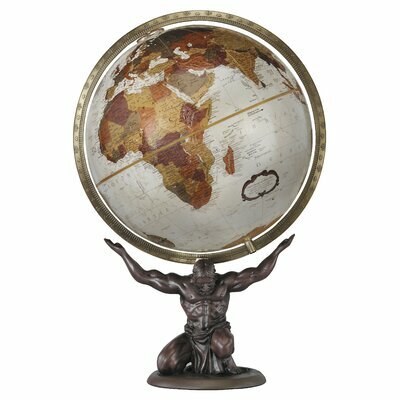 Detailed bronze resin replica of Atlas supporting the world on his shoulders. This globe weighs approximately 5,600 pounds and has a diameter of over 41 feet. It's scale is 1:1,000,000. One millimeter equals one kilometer (one inch equals 16 miles). The movement simulates one day's revolution and rotation every minute. Eartha is in a glass atrium so it can also be seen from outside. At night, the globe is illuminated. Visit the Eartha at DeLorme Headquarters. Image used under Creative Commons from redjar on Flickr. 16" globe with a walnut and brass telescoping tripod base. The Mapparium is a three-story tall stained glass globe that is viewed from the inside. Standing on a bridge in it's center you experience an historical, three-dimensional perspective of the world as it was in 1935. The Christian Science Monitor commissioned architect Chester Lindsay Churchill to design it. Visit the Mapparium at The Mary Baker Eddy Library. Image used under Creative Commons from Smart Destinations on Flickr. 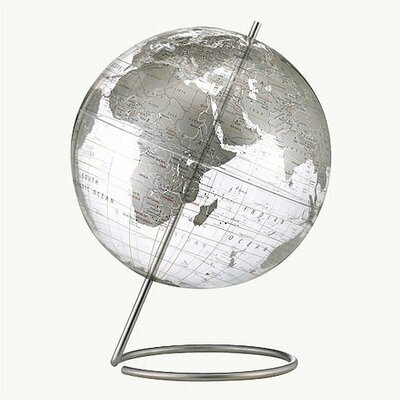 Transparent globe bisected by a stainless steel axis base. Built as the symbol of global interdependence for the 1964-65 New York World's Fair, this stainless steel sphere stands 140' tall with a diameter of 120'. The Unisphere was designed by landscape architect Gilmore D. Clarke. It's centered in a circular reflecting pool and is surrounded by water-jet fountains. Visit the Unisphere at Flushing Meadows Corona Park. Image used under Creative Commons from P Pogo on Flickr. Educational Insights Geosafari Talking Globe Jr.
Made from hand cut gemstones representing the continents and oceans of the world. 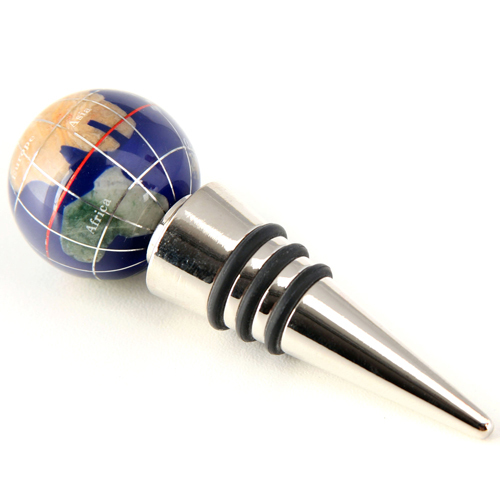 Each country is individually crafted from a separate gemstone. 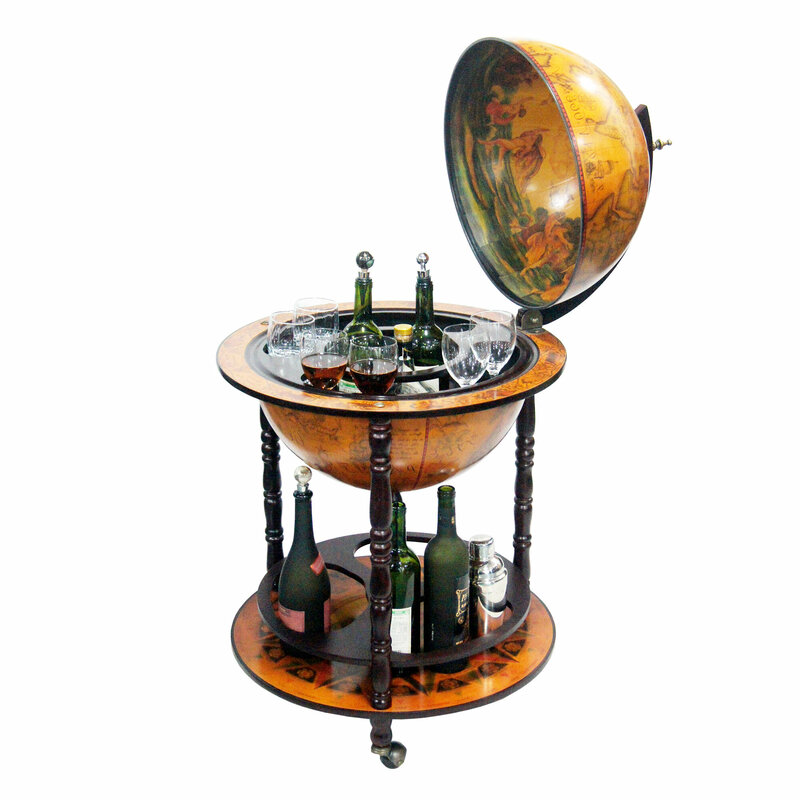 Hand built floor globe bar. That crystal one is just stunning! I have a small black onyx one, and have never regretted the purchase, except that I wish I had shelled out a little more for a larger one. I love globes - they have such a 19th century explorer feel about them! The lighted globes are great. i used to have one (I think still have it somewhere). Nice page. Vintage globes have become very collectible. Wish I'd saved some of the ones my kids had. We had a Fisher Price globe that lit up inside and it was their nightlight. I loved it and have no idea why I got rid of it. I love globes, especially the lighted ones! Very nice globe collection. The Atlas one is by far my favorite. 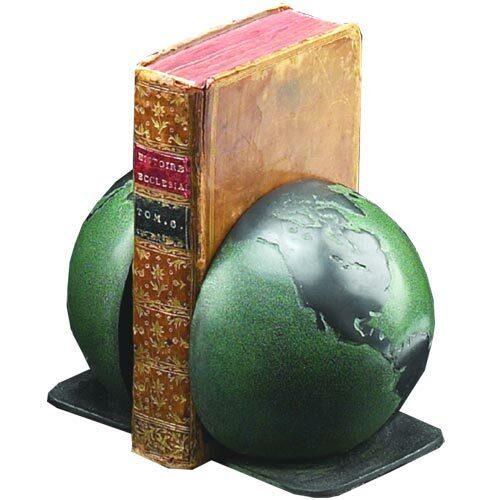 I must admit the globe book ends are rather appealing - amazing to see how many variations there are available these days. A collection of the best logic puzzle toys for kids. These toys are fun and will get kids thinking.